Eyelid surgery, or blepharoplasty, can improve the contour of your eyelids and treat loose skin around the eyes that has formed due to aging. The face is often one of the first areas to lose skin structure as we get older—aided by sun exposure, stress, and the repetition of facial expressions over the years. When this occurs, the eyelids are prone to experience sagging. Additionally, under-eye bags may form, causing a stressed or worn look. Blepharoplasty surgery targets both the upper and lower eyelids to rejuvenate your eyes. Dr. Oppenheimer can remove excess skin or fat around the eyes and reposition the eyelids to reduce drooping. Thanks to innovations in blepharoplasty surgery, Orlando patients can revitalize their expression with less downtime than ever before. Upper and lower blepharoplasty surgery can either be performed in unison or separately, depending on the needs of the patient. Eyelid surgery patients can undergo their procedure at our outpatient surgical facility. During upper blepharoplasty, incisions are made in the natural creases of your upper lids. Dr. Oppenheimer will remove any excess skin that may be contributing to eyelid sagging, as well as small amounts of excess fat above the lids, if necessary. The eyelids can also be slightly repositioned to restore youthful contours to the eyes during upper eyelid surgery. Lower blepharoplasty incisions are placed on the inside portion of your lower eyelids. Any excess fat buildups can be excised to reduce puffiness. Excess skin may need to be removed or repositioned when reducing under-eye bags. A chemical peel may be performed instead of skin removal, depending on your evaluation with Dr. Oppenheimer. 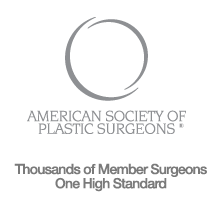 Rhinoplasty, facelift surgery, cheek lift, and other facial rejuvenation procedures can be performed with blepharoplasty surgery to enhance the facial profile.